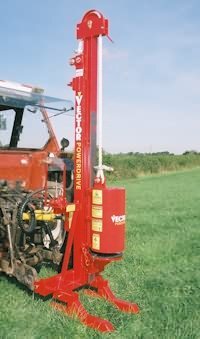 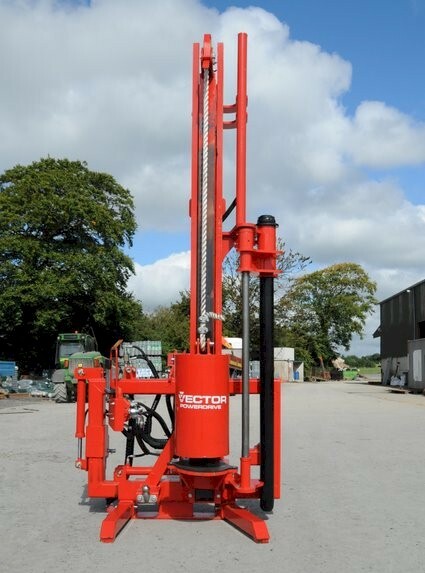 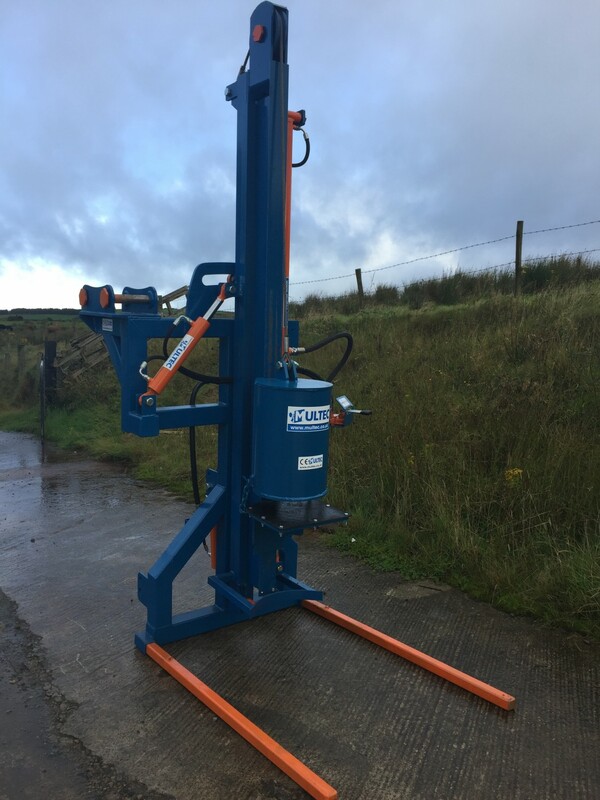 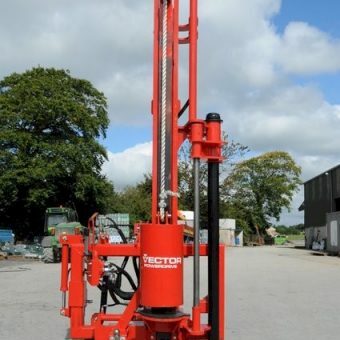 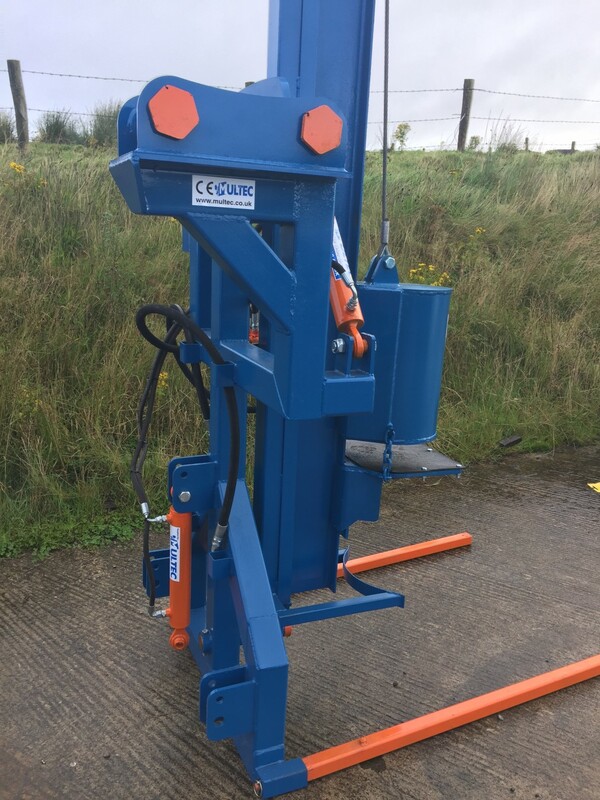 The Vector Model 4 Contractor’s Post Driver has been described as the ultimate post driver, this machine is a must-have for the serious contractor. 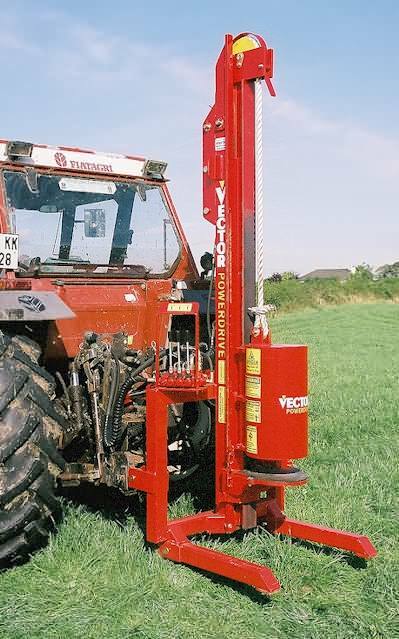 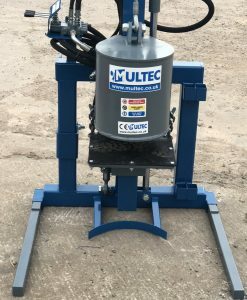 A high output post driver, with great side and rear shift capacity, independent hydraulic jacks and terrific stability in virtually any terrain. 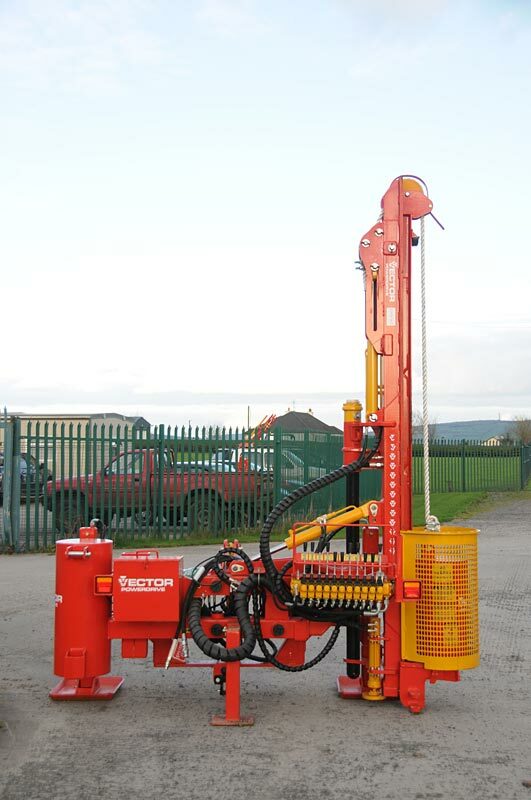 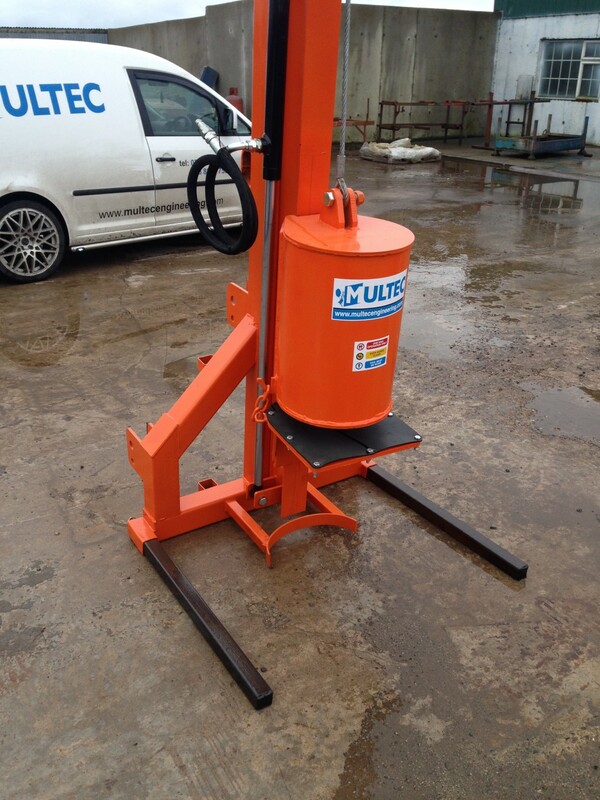 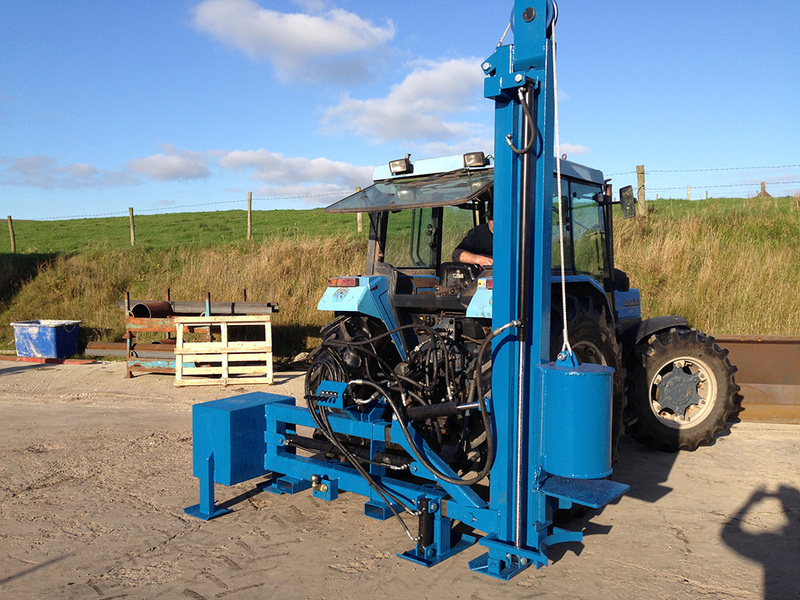 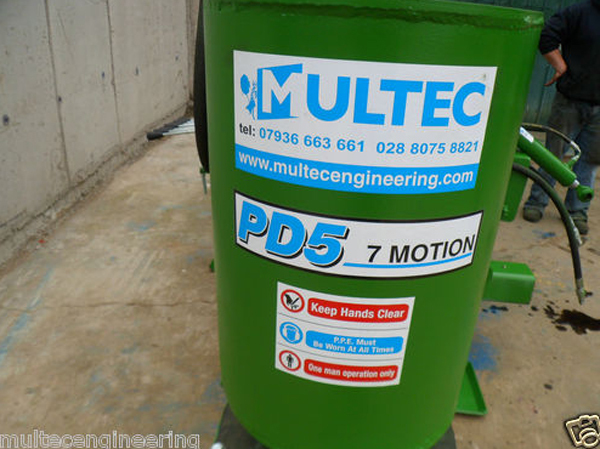 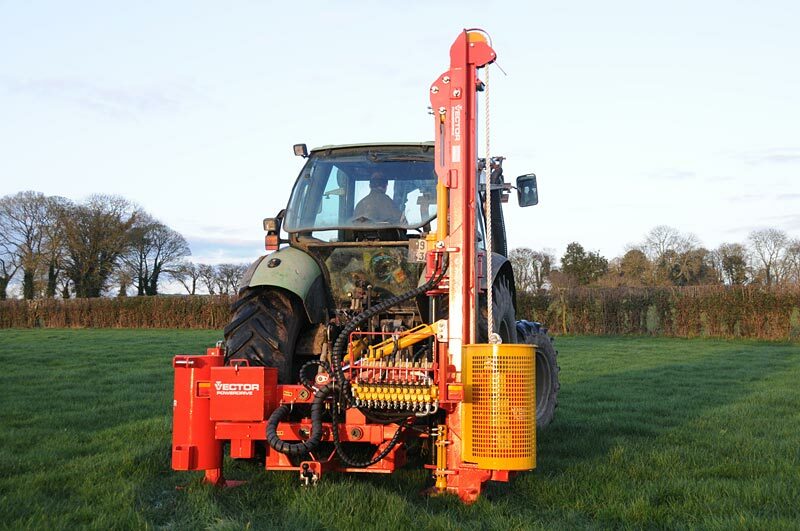 This Post Driver copes with the most difficult tasks while easy to operate and maintain. 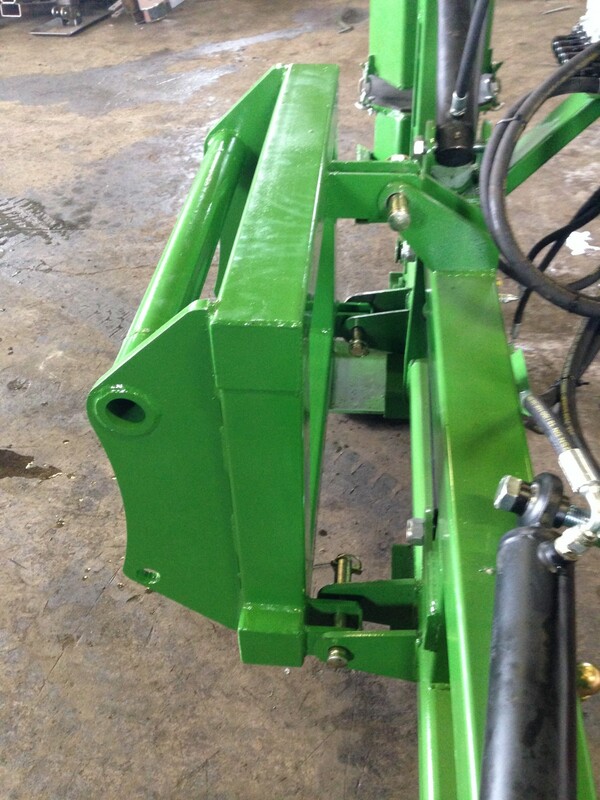 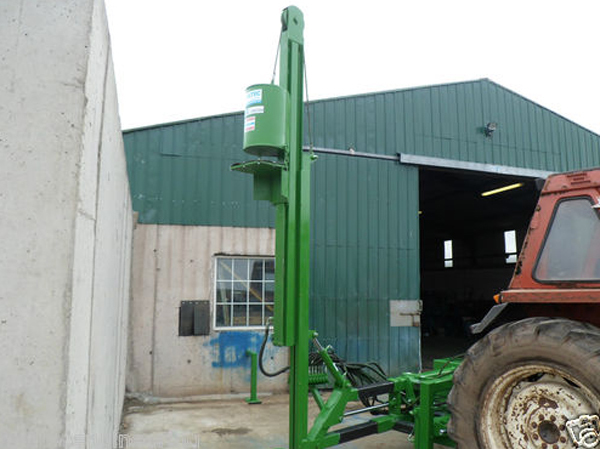 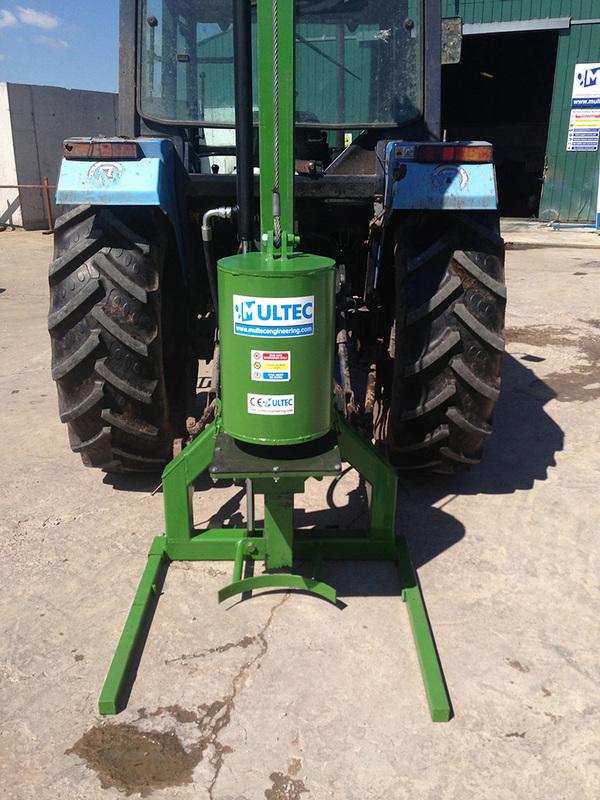 It attaches to the three point linkage and fits all models of larger tractors. 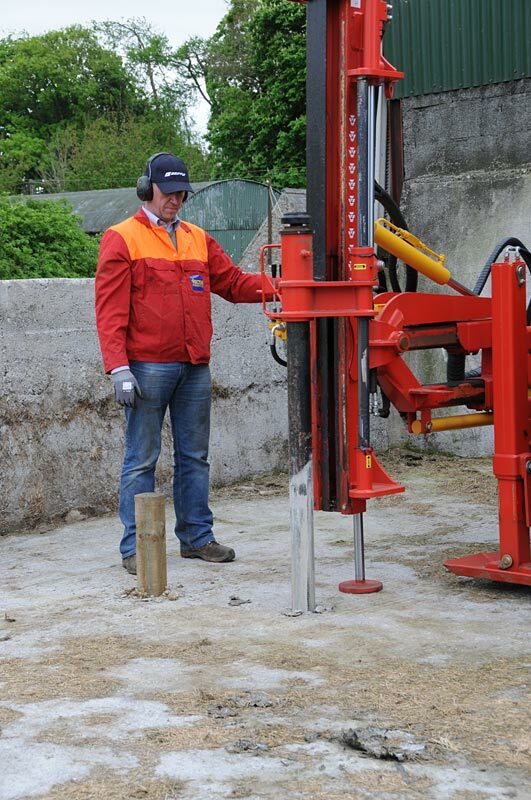 The 400kg solid steel hammer will drive just about anything, anywhere and at any angle. 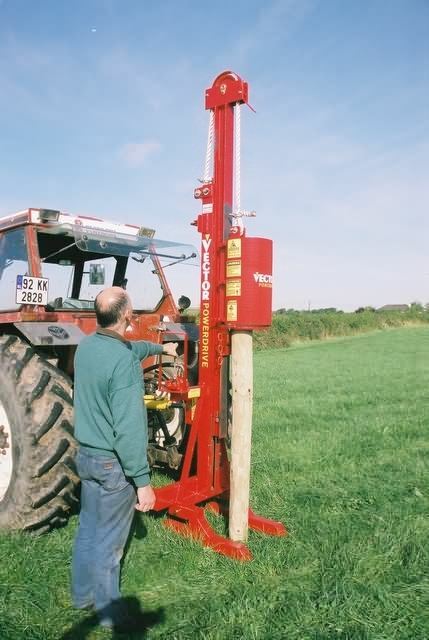 Posts are driven quickly, cleanly and accurately and the hammer impact can be completely controlled, to deliver anything from a feather light tap to a full impact of 50,000kg. 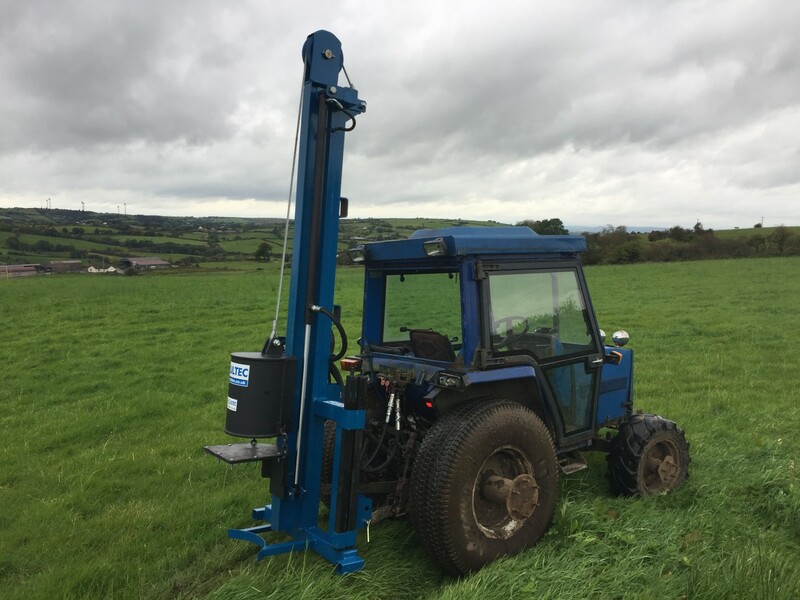 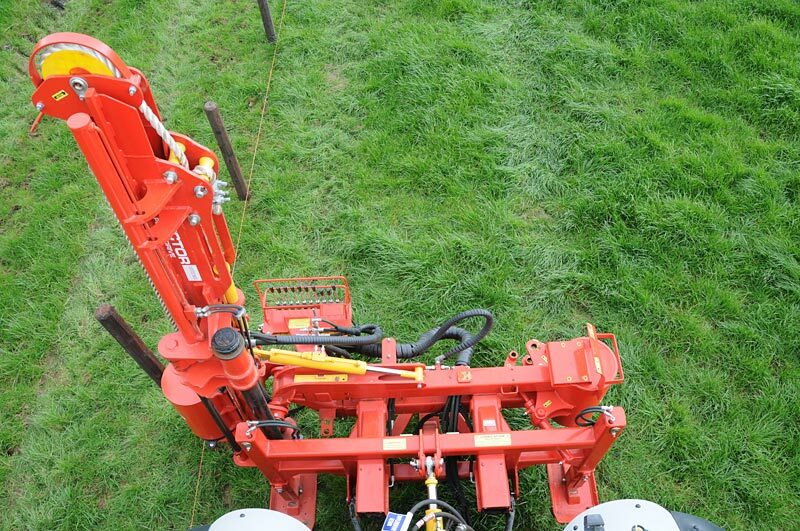 The machine can operate in the most awkward terrain and difficult situations with ease. 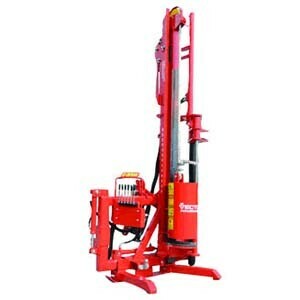 In spite of it’s sophistication and many features it is can be operated by one person with ease. 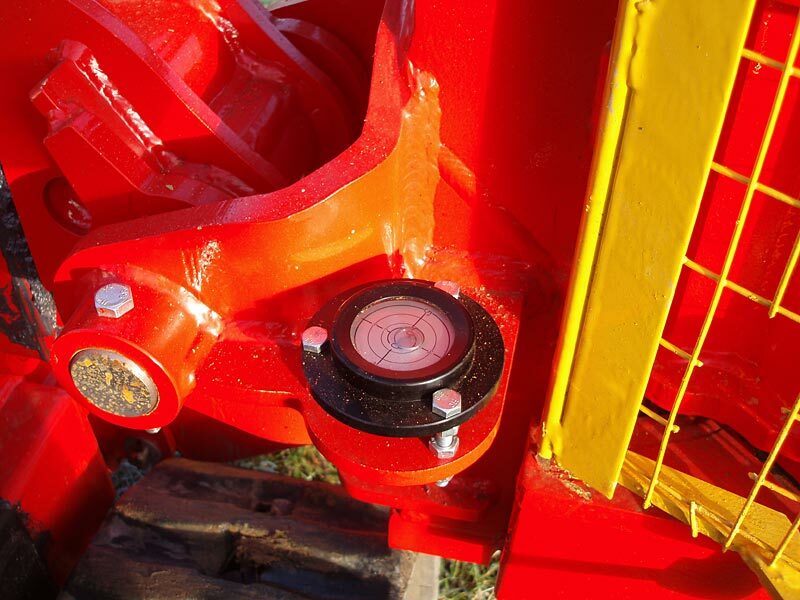 Main Features (Keep It Standard Spec). 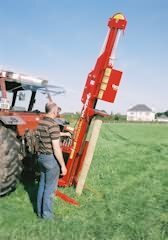 Tow Hitch (Fitted to the Post Driver so that it can be transported by a tractor while also towing a trailer). 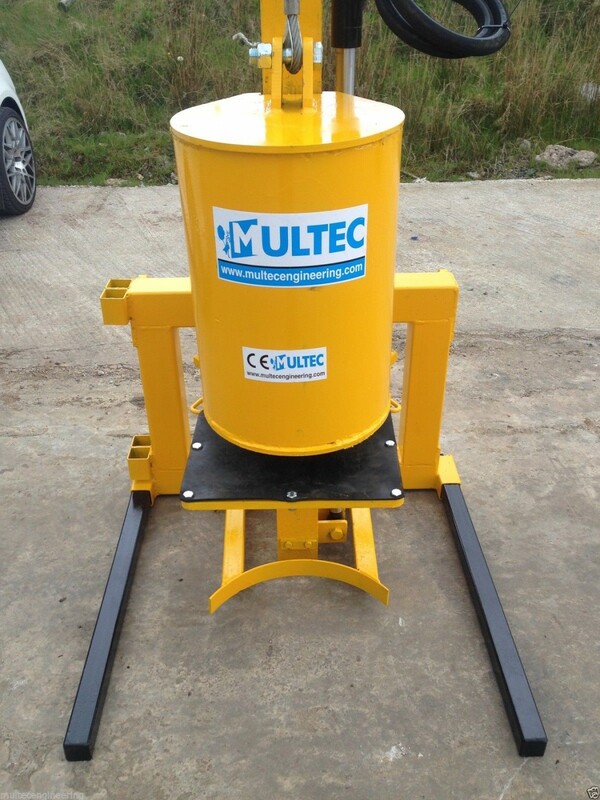 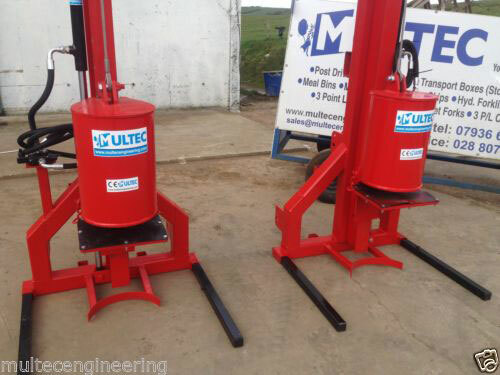 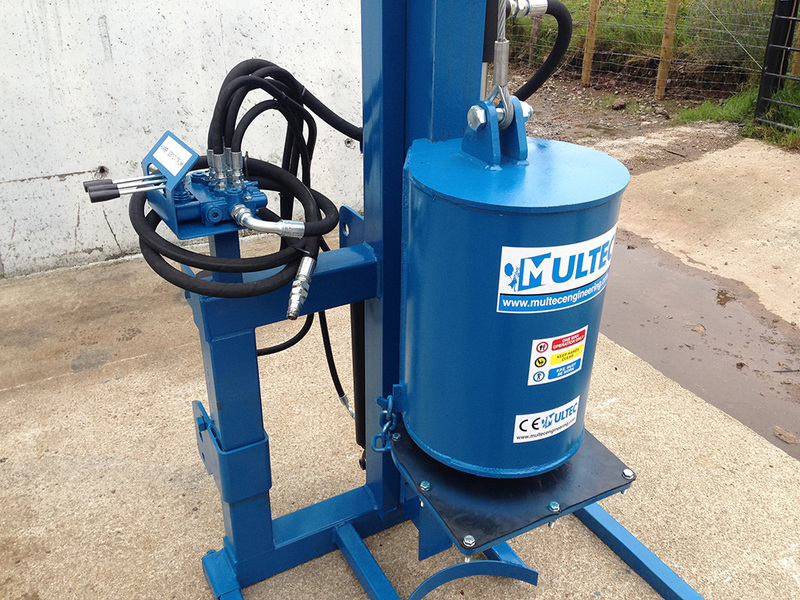 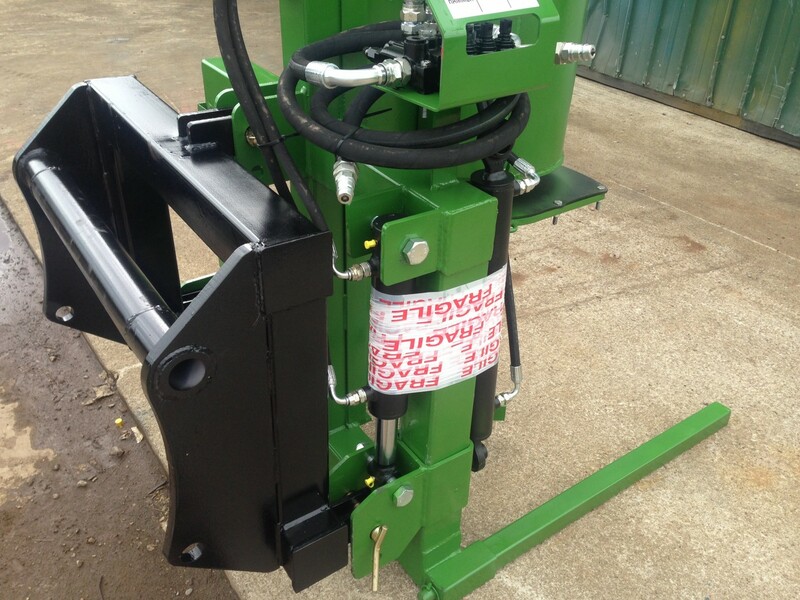 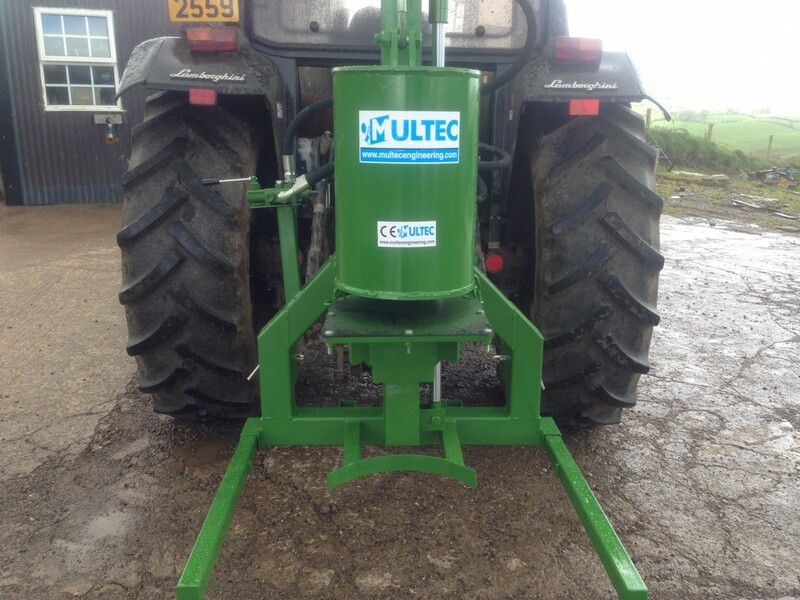 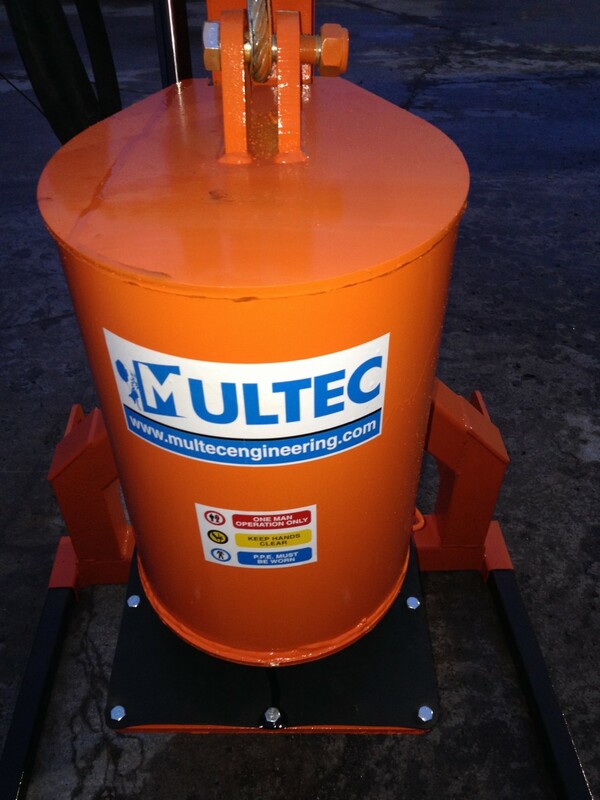 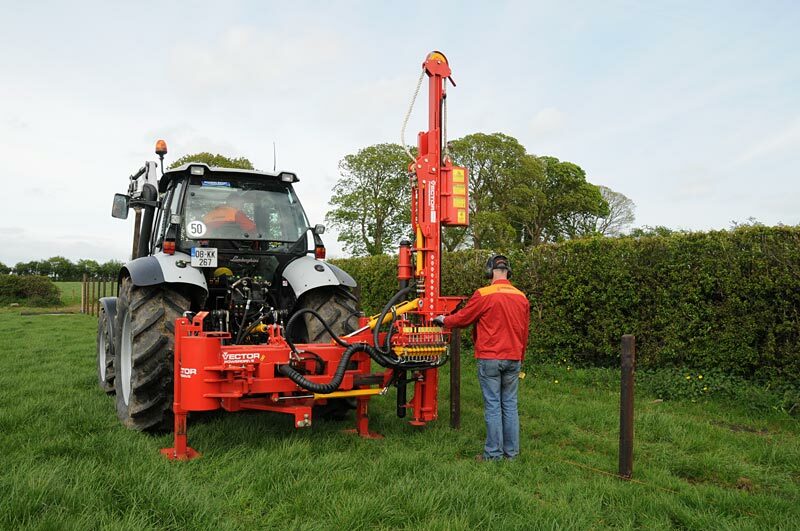 (This attachment enables you to drive posts in even the hardest ground). 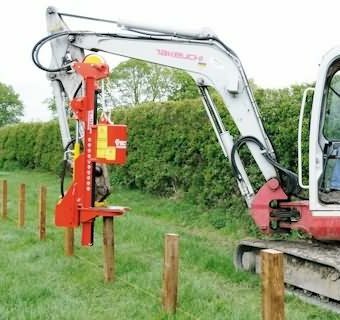 (Attaches a mini-excavator to the post driver, creating a two-in-one machine that makes post driving job a lot easier). 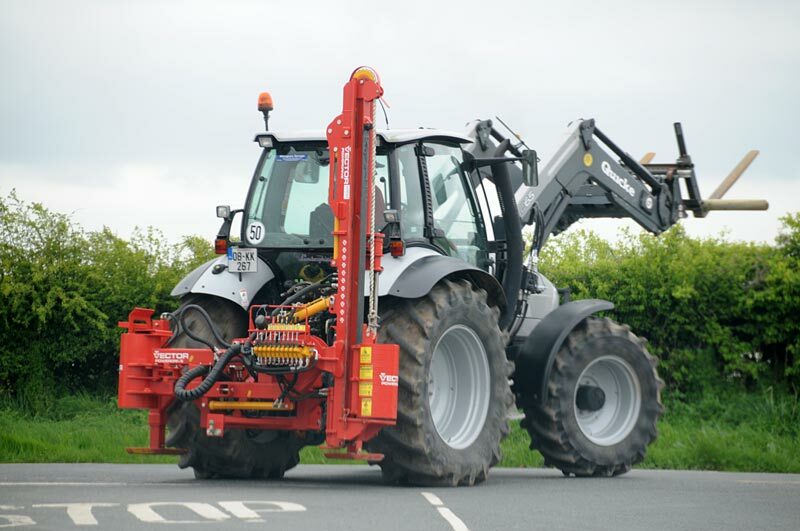 (The video below gives a taste of what this driver can do and how easy it is to work with).